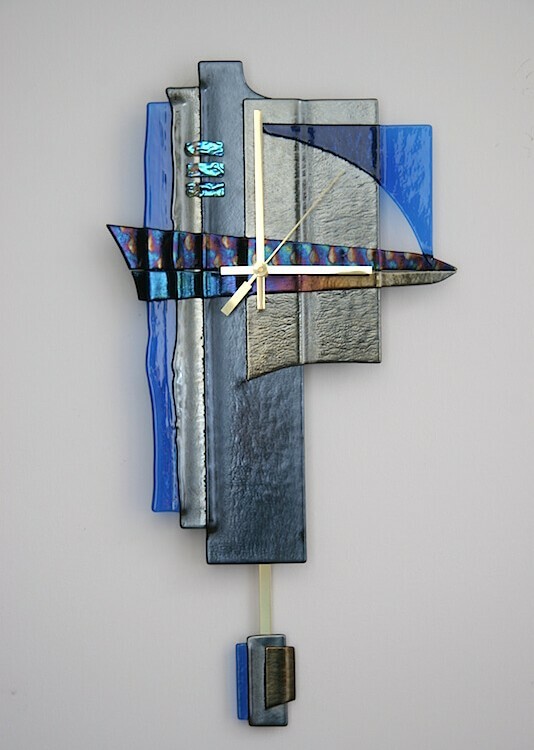 M J Bailey specializes in unique glass clocks and jewelry. 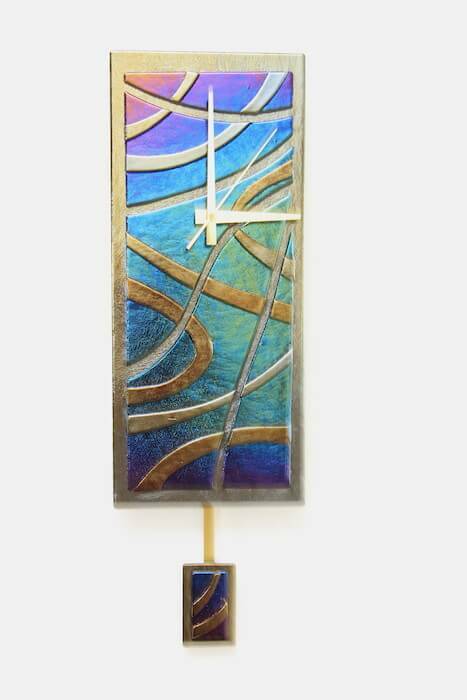 Her architectural background is expressed through the structural clarity, details and contemporary styling of each piece. 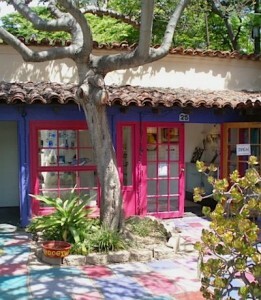 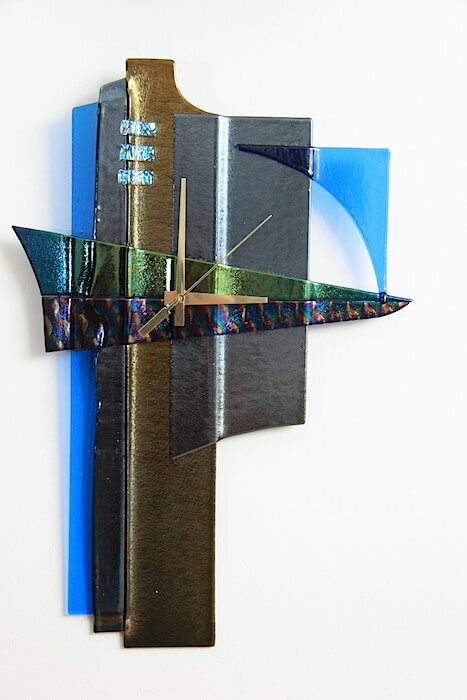 Ms. Bailey was a Registered Architect in Texas, and discovered dichroic glass after she moved to San Diego. 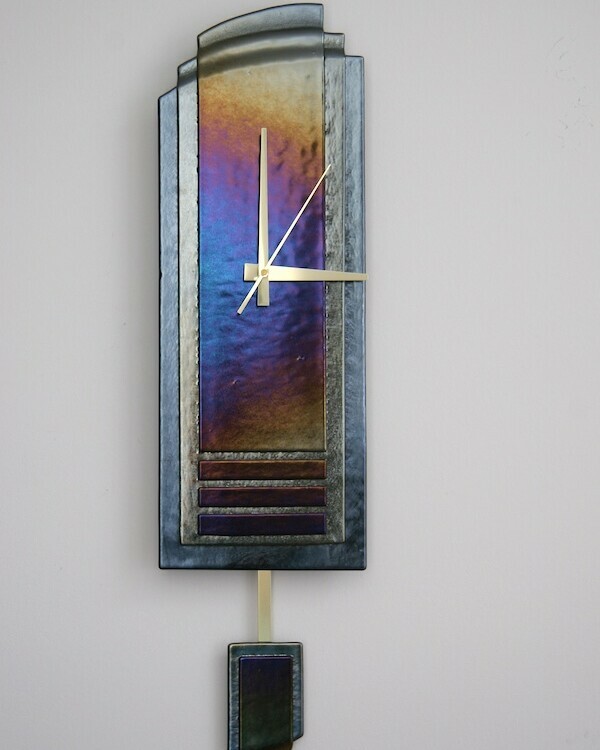 She loved the vibrant colors created by layering dichroic glass into wearable art. 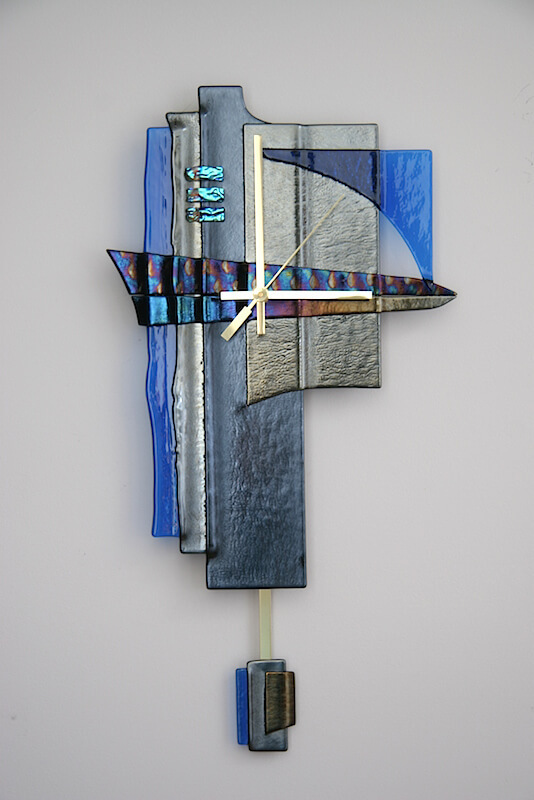 Her designs soon expanded from jewelry to vases, suncatchers and clocks for galleries and art shows. 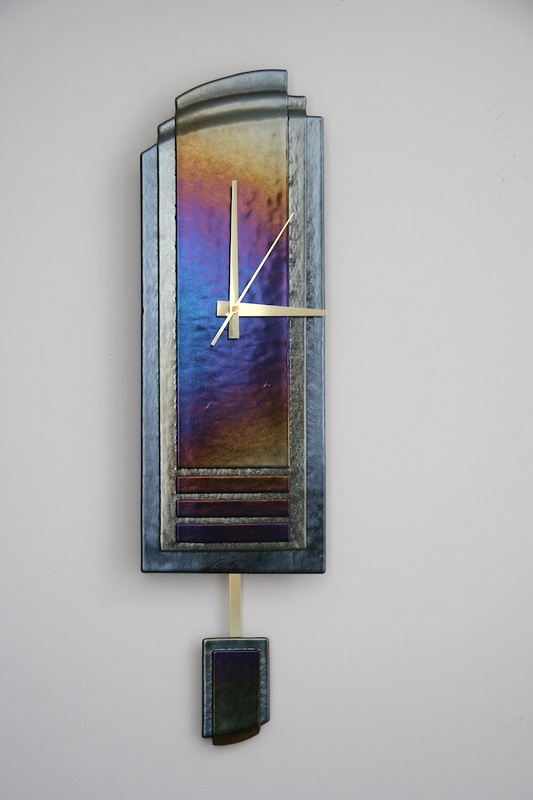 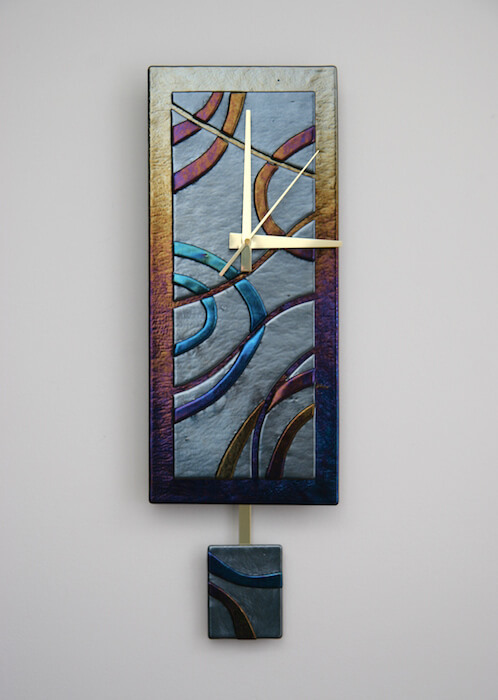 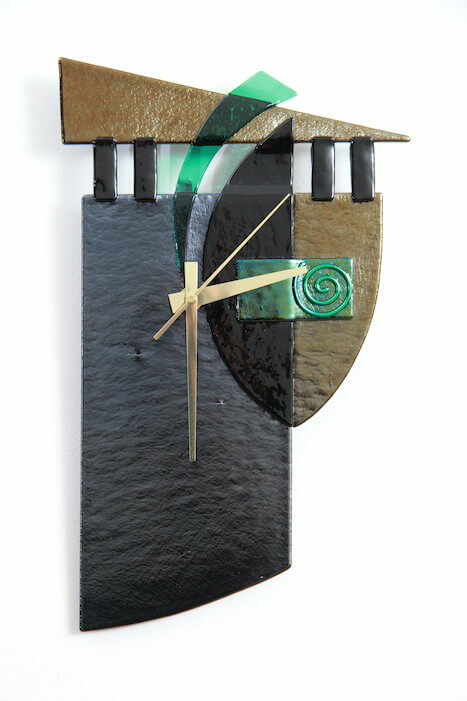 Her focus, today, is creating contemporary clocks ranging in style from freeform to art deco and mid-century modern. 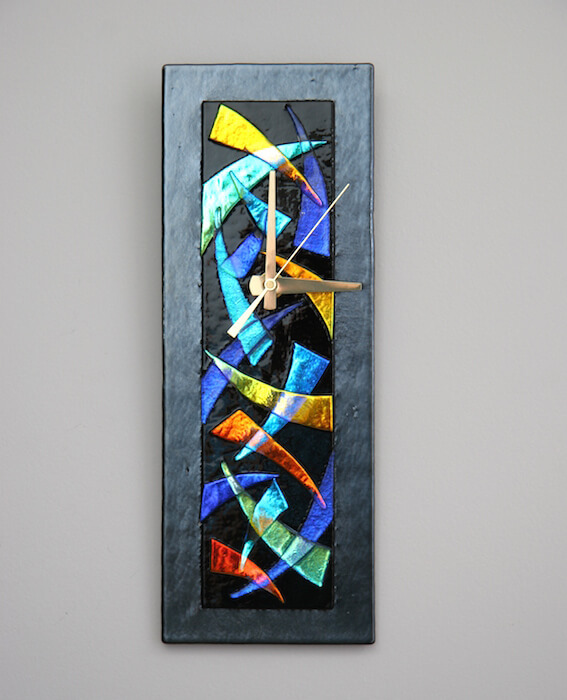 The articulation of each piece reflects detailing and stylistic expression with an architectural vibe. 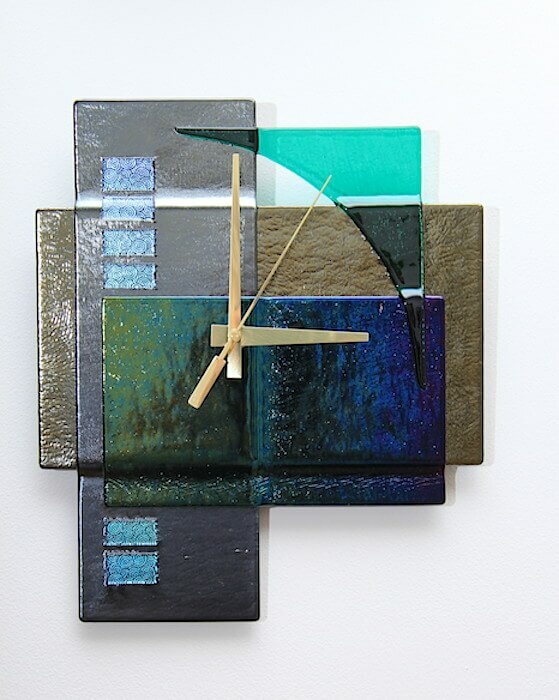 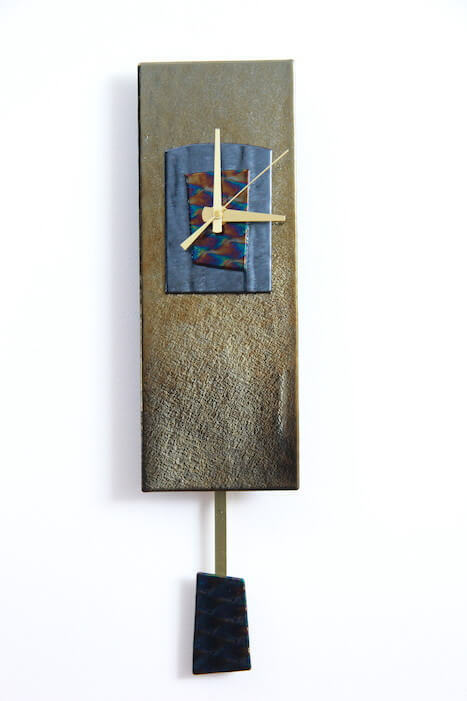 The clocks are one-of-a-kind, suitable for home or office.